Here, dated 15.8.13 (top RH corner), is the front page of document 152 in the Call for Papers. It is an approval document ready for his signature. 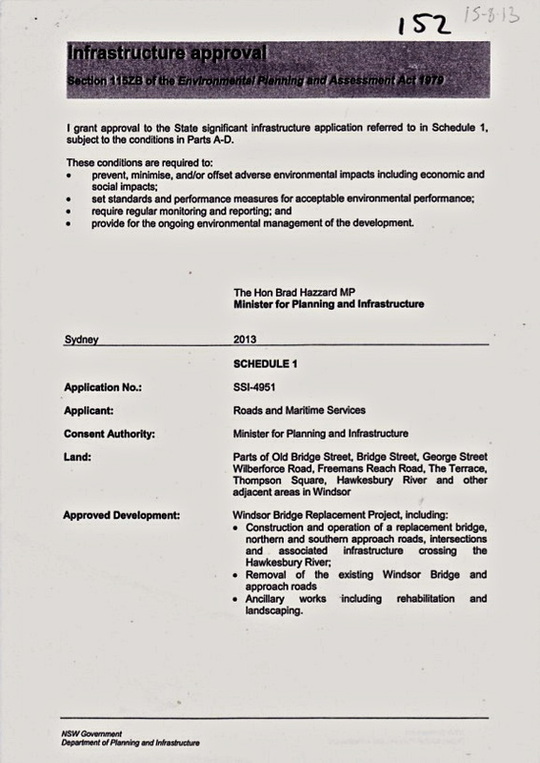 So, BEFORE Minister Hazzard's department received the final reports from their independent consultants and BEFORE any recommendation was finalised for his consideration there is the Instrument of Approval?